In my last post, I gave a quick recap of what the Cybersecurity Framework is, how it differs from other standards and the importance it carries with both regulated and non-regulated organizations. 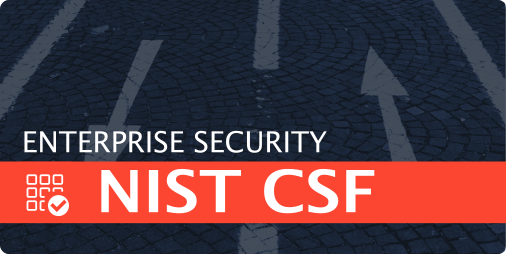 This week, I wanted provide some quick lessons learned by many organizations, not only with the CSF itself, but with many of the standards used within the categories of the framework. Listed below are 5 quick things your organization should consider when implementing any security framework or standard. Don’t assume the CSF is only for “Critical Infrastructure” or Federally regulated organizations: Although the Executive Order is titled as such, it is meant for all organizations, in both public and private sectors. The same can be said for NIST 800-53 controls; it’s not just for Federal agencies. Don’t try to do it all yourself: The implementation of the CSF requires the input and collaboration of almost every vertical within the organization. It can not be done solely by one person. Often times it requires outside help with subject matter experts for implementing various requirements. Don’t adopt controls, just to adopt controls: This is one of the most common pitfalls. The informative references in the CSF are not a list of mandated controls which must be adopted for each category. They are to be considered as examples or possible suggestions. Each category must be carefully examined and the organization must ultimately decide which controls fit and which ones do not. When gaps exist, a risk assessment should be conducted to determine if the control is even necessary. All successful information security programs are built on risk management, not controls. Don’t assume there is only one way for implementation: Every organization has their own business goals, risk levels and security requirements. One size does not fit all and neither does the implementation of the CSF. The NIST web site, along with many others offer unique approaches to implementing the framework. Security PS recommends that each organization carefully weigh the many options and decide which method, or combination of methods is right for your environment. Don’t ever consider it “Finished”: Risk management and information security in general is a lifecycle or reiterative approach; the CSF is designed to evolve in the same way. Requirements change, new technologies and vulnerabilities emerge and risk levels alter over the course of time, which requires constant improvement of the organization’s program. What challenges have you faced when implementing the CSF or other framework? We’d like to hear from you! Please let us know in the comments below.